Client Interface/Scheduler – MedNet Inc.
since all forms and attachments are stored in the system. 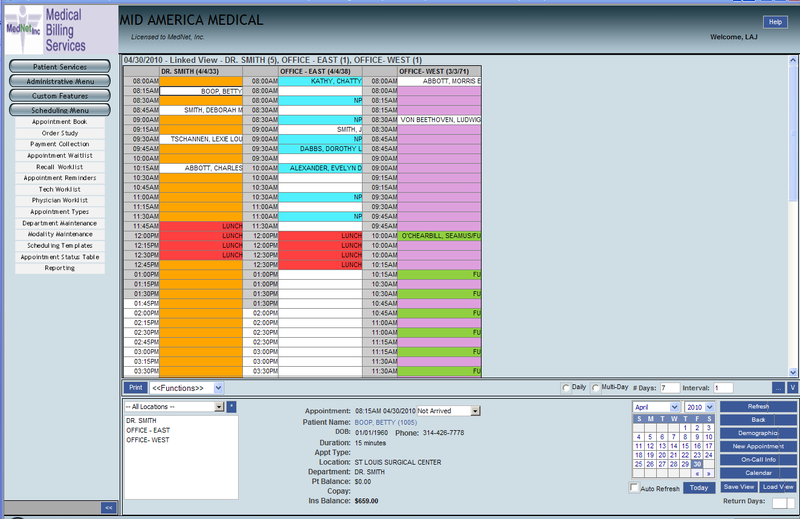 A viewing pane displaying the appointment book grid. The grid features a department or departments selected by a patient, each department’s slot schedule and scheduled appointments, and a summary of the number of slots filled with appointments compared to the total number of slots on the department’s schedule. The selected date, type of schedule view, and selected department(s) are listed above the grid. The view parameters are displayed in a horizontal bar directly below the grid. 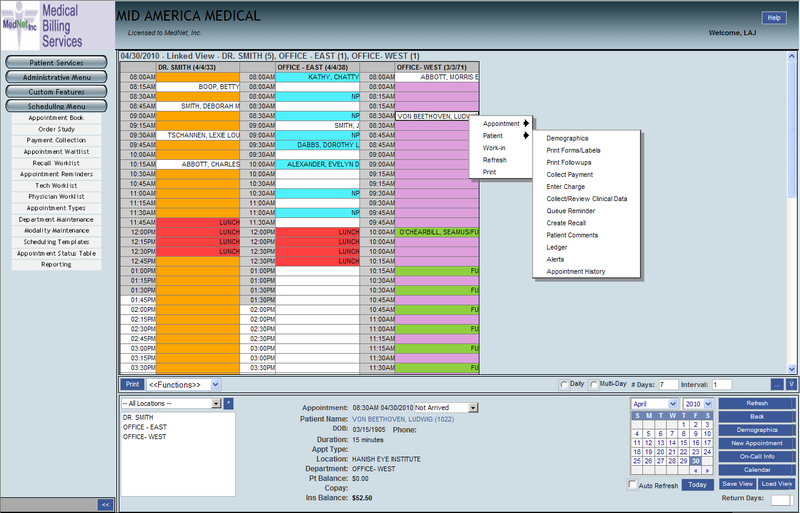 The bar contains options for viewing both Multiple Department and Single Department view styles, and additional parameters for the Multi-Day views of each. Along the bottom of the window is a department selection box on the left corner, an appointment details box to the right of that, a calendar and refresh option, a series of buttons, and a box for quick navigation by a number of days from the selected date. Appointment slots are colored based on the color setting of the Appointment Type for that particular slot. If no appointment type is specified, the department’s “Default” color is used for available slots, or a white background is used for full slots. 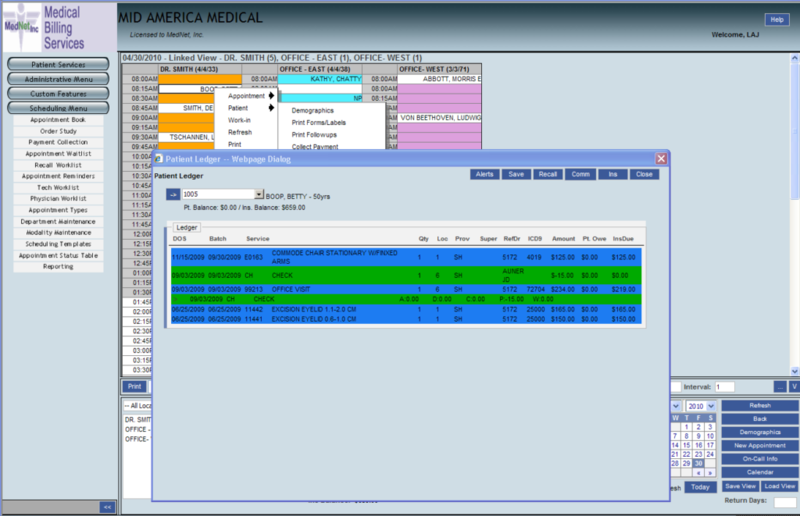 The appointment book also includes a right-click context menu to perform individual actions on an appointment or patient. If there are existing appointments on the schedule, clicking once with the left-hand mouse button on an appointment will populate the appointment detail box with information about the appointment and patient. 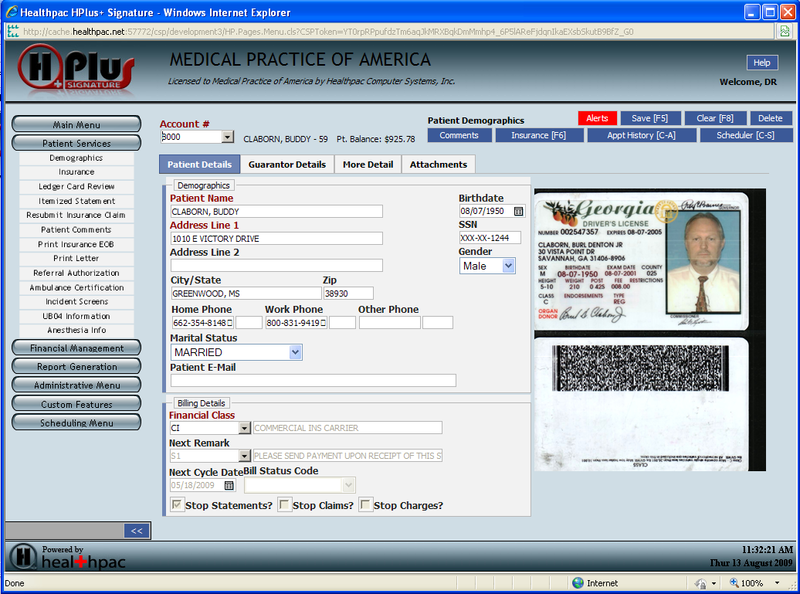 The patient’s name in this box is clickable, and will open the patient’s Demographics profile and history. 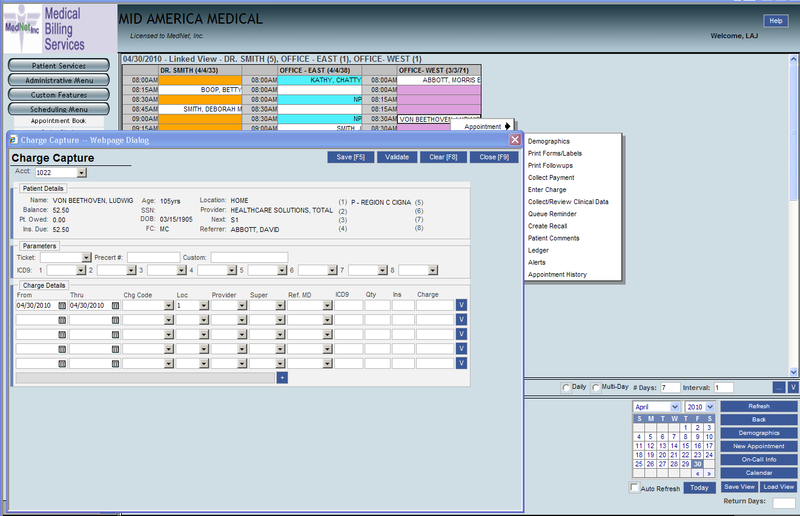 The Patient Demographics screen consists of multiple tabs, each containing portions of the full demographics details for the patient. Click through these tabs by clicking the tab header to see what information each tab contains. After a patient has been entered or updated, click the “Save” button or press [F5] to save the patient to the database. There is even an option for Remote Charge Entry via PC or iPhone/Smartphone! © Copyright - | MedNet Inc.